The XPOD is the world's first transformation-plug. 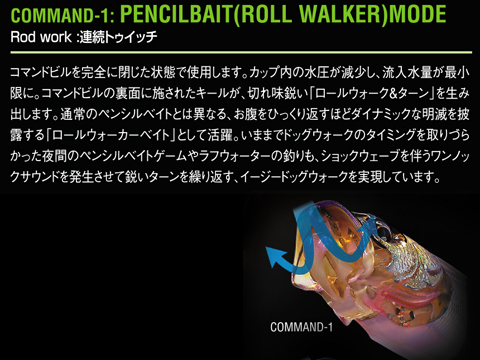 The COMMAND BILL(PAT. 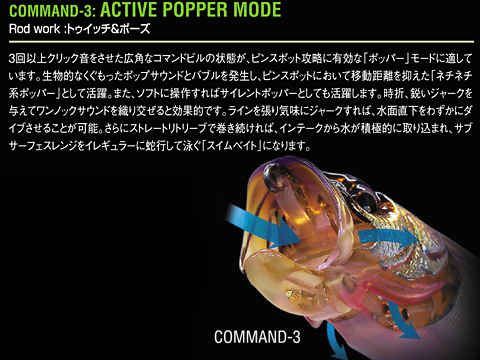 ), which has seven distinct settings, is adjustable according to angler preference and specific conditions. Each rugged setting alters the pressure and volume in the WATER INTAKE(PAT. 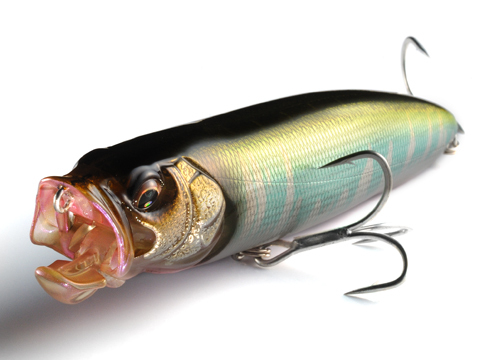 ), changing the lure's displacement, weight ratio, and body balance. By altering the properties of rod actino and lip setting, it can be adjusted for use in various situations. 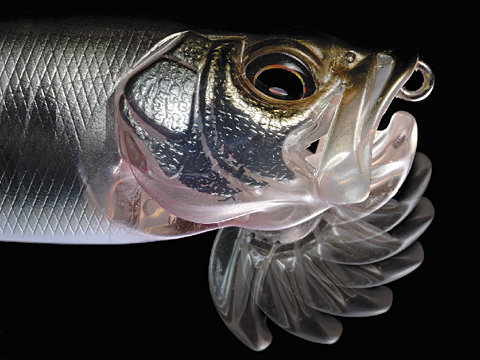 The XPOD is a multi-performance lure, allowing anglers to tap into its many abilities and applications. 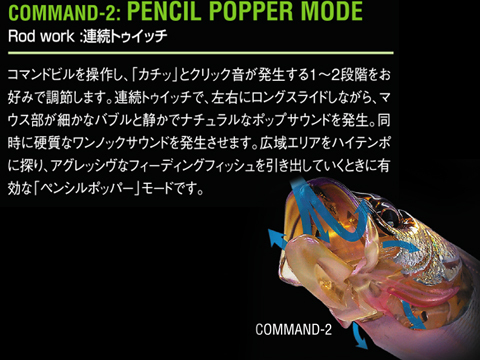 It can transform into 4 modes for top water: a roll-walking pencil bait, a dog-walking popper for targeting specific areas, a sliding pencil popper for targeting wide areas, and a splash head to lure in prey through sound and splashing. 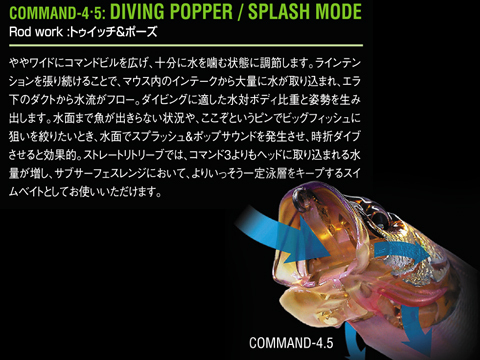 For the sub-surface it has 2 modes: a diving pencil and a diving popper. 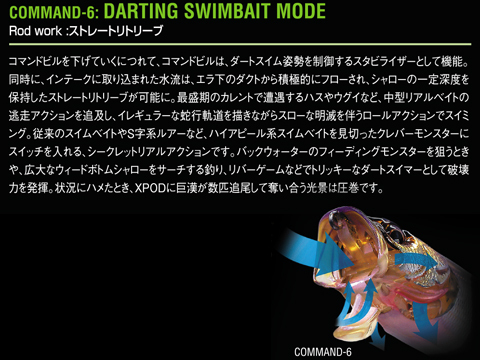 In addition, it has a special trick-darting dive mode using random trajectories and rolling action, allowing it to be used for slow retrieves as a diving swim-bait.